Trying to attain that seemingly elusive good night’s sleep can sometimes feel like an uphill battle. Whether you find yourself tossing and turning in the middle of the night, or the firmness of your mattress is causing sore muscles, something has got to give without offering up a large sum of money for some fancy mattress. This is where the best full body pillow comes in. Simple, yet effective, the full body pillow can help provide your body a more comfortable sleeping position throughout the night which will help you achieve your best night’s rest. For side sleepers, a full body pillow placed in between the knees with a pillow at the head can provide a better alignment for your hips and spine which will decrease discomfort. For all kinds of sleepers, the benefits of “hugging” a pillow can increase your internal sense of peace and make sleep effortless and enjoyable. 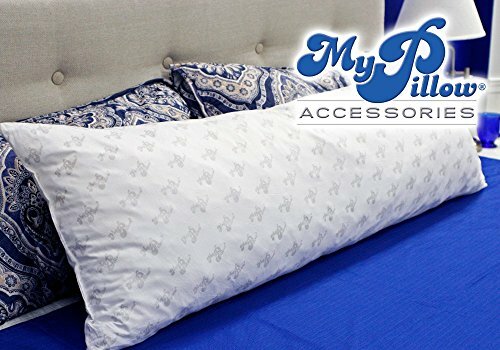 To find the right full body pillow for your unique needs, you will have to sift through the many different styles that are available on the market today. 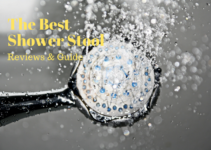 This short guide will give you an idea of what to look for before you purchase, and offer a few suggestions for your consideration. Before you jump the gun and make a quick purchase, take into consideration the following features that make up the ideal full body pillow. Every individual has a specific preference when it comes to firmness vs. softness in a pillow. Knowing what your preference is will help you decide which full body pillow will work best for you. A down or down-alternative pillow will offer light to medium support that is cushy and soft. Memory foam or latex pillows offer more support, and are generally firmer. Pillows with gel can be of either low or high support, and offer the added benefit of a natural cooling sensation which is beneficial for restful sleep. Figure out what kind of material will work best for your full body pillow for best results. Full body pillows generally come in either a long U-shape, or as a long, thin plank. The U-shaped pillow can either open on the side (making it resemble more of a “C”) or at the bottom. Both shapes of pillow have their own benefits, and it is up to you to decide which style will work best for your sleep patterns. Do you enjoy the feeling of being surrounded by cushy comfort? Do you need extra support for your legs and back? How much space do you have in your bed? The idea of a “full body” pillow should seem obvious as to the general size of this style of pillow, but since no two people are really the same size, there are, of course, various options when it comes to length of your pillow. Keep an eye out for the dimensions of the full body pillows that you are considering so that you can determine whether you want a true full body pillow, or perhaps a shorter pillow. 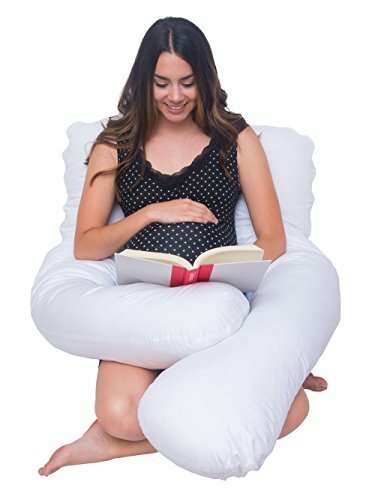 Do not let the “pregnancy” title deter you: while full body pillows are ideal for pregnant women, they are also a great choice for anyone looking for a more comfortable night’s sleep. 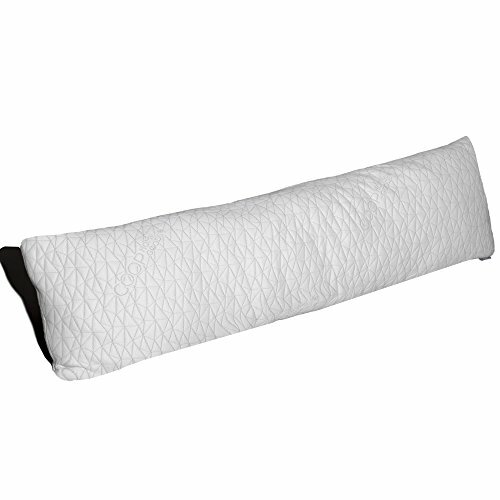 The PharMeDoc Full Body Pillow offers a C-shaped design made from a polyfill material that moves with your body. 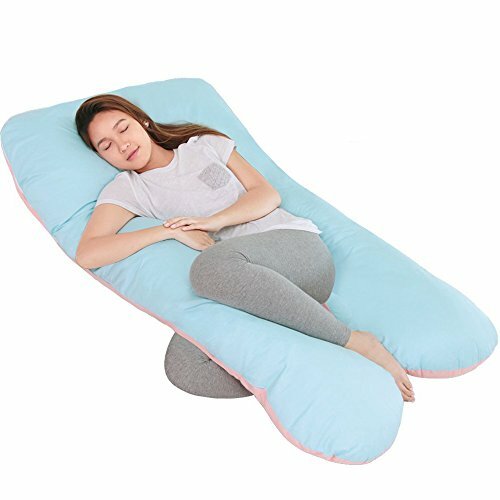 The pillow can be used for sleeping or as a sitting cushion for extra back support, and comes with a removable cotton pillowcase that is machine washable. The pillow measures 57 x 30 x 7 inches and is on the firmer side in terms of support. 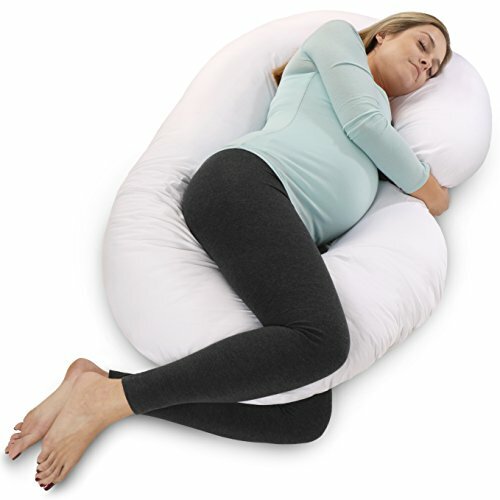 This PharMeDoc Full Body Pregnancy Pillow comes in either pink, ivory, or blue, and is a medium range as far as price is concerned. This plank style body pillow includes an allergen barrier fabric that will help improve your overall breathing while sleeping, especially if you suffer from seasonal or year-round allergies. The pillow is made out of a hypoallergenic polyester fiber filling, and is machine washable. The pillow measures at around 54 x 7 x 20 inches and offers medium full body support. Both a bonus and a downside to this pillow is the fact that it is extremely cheap, which means that while it is affordable, it is most likely made out of cheaper materials than competitor pillows. Another plank style full body pillow, the My Pillow version offers a 4.5 foot cotton product that is machine washable and filled with a shredded polyurethane foam. The foam pieces are irregularly shaped, which creates an environment that is better able to adapt to your head and body when you lay on the pillow. This full body pillow is of a medium firmness, and is adept at “fluffing” back into shape after extended use. The one major downside of this pillow is its price, which is definitely higher than most other pillows in this class. This U-shaped full body pillow with included velvet cover measures at 21.6 x 20.9 x 3.5 inches and weighs a surprising 7.4 pounds. The pillow’s shapes allows it to naturally cushion the contours of the body and provides ample support for the back, stomach, and legs. The pillow is filled with a premium polyester blend that is able to better maintain its original shape despite extended use. The Dream Body Pillow is medium to high support, and is not overly pricey for the quality of the product. Snuggle-Pedic advertises their mixed material full body pillow as being “extra breathable”, which means that it is a great choice for anyone who struggles with keeping cool throughout the night. Each pillow is made with a blend of bamboo and shredded memory foam that is guaranteed to be low in volatile organic compounds and eco-friendly. This pillow is in the plank style, and measures 16 x 14 x 7 inches. The firmer quality of the pillow means it is able to re-form its shape after use, yet it is still soft enough to please the pickiest of sleepers. The Meiz U-Shaped Total Body Pillow is made from a scent-free bionic-polyethylene filling and is ideal for pregnant women or side sleepers looking for extra support during the night. This pillow offers you the unique choice to remove some of the inner stuffing to decrease the length of the pillow if you find that it is too long. The pillow offers a lighter degree of support, as it is much fluffier than other pillows in its class. But it is a perfect example of a full body support pillow that can easily wrap around you and provide comfort from all sides throughout the night. 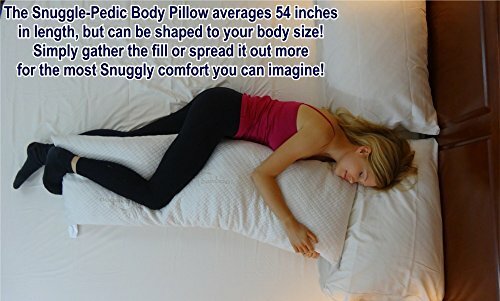 The pillow comes in either a medium or extra large size. This 100% hypoallergenic pillow is an extremely dense yet soft product that is filled with bionic polyethylene pellets that are good for reforming the pillow’s natural shape after use. The QUEEN ROSE full body pillow is perfect for a good night’s sleep, as a cushion for comfortable seating, or as a general support when laying on the couch. The pillow measures in at 55 x 31 x 7.8 inches, and comes in either blue, grey, or blue and pink. This is a firm support pillow that may not work well for individuals seeking a much softer form of support. As the name states, this plank style shredded memory foam pillow is soft enough that it can easily be adjusted to fit your body shape and/or desired position. Each pillow is made with hypoallergenic and eco-friendly materials and is completely machine washable. Measuring at around 17 x 12 x 8 inches, this pillow is long enough to create a custom “U-shape” if desired, and firm enough that it provides support where it is needed without being uncomfortably stiff. The Coop Home Goods full body pillow is perfect for the individual looking for something that offers support with the softness of a down pillow. 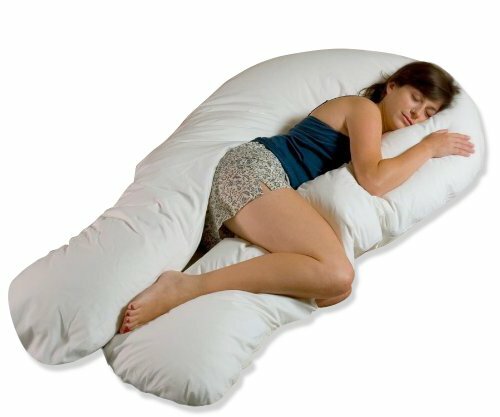 This full body pillow is on the pricier end of the spectrum, but for good reason. The full sized pillow is made with a premium synthetic down blend that is stuffed to the brim to create a pillow that is both highly soft and comfortable, but still supportive. To top it off, the Moonlight Slumber Comfort-U Total Body Support Pillow is engineered to provide ample airflow, which will help cut down on overheating during the night. This pillow is machine was and dry friendly, and is resistant to losing its fluffy shape. The pillow measures in at around 14.5 x 14.5 x 12.5 inches, and will encompass your body snugly for a peaceful night’s rest every time. This C-shaped pillow comes with a jersey knit pillow cover that is T-shirt soft and machine washable. The pillow itself is made of a breathable polyester material and stuffed with a polyester hollow fiber that is resistant to collapsing. In addition to sleeping, the Ang Qi full body pillow can be used as a general support cushion around the house. 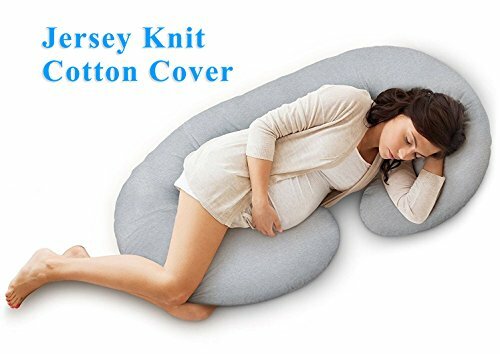 The Ang Qi Full Body Pregnancy Pillow measures 24 x 30 x 3 inches and is of a medium support which can be adjusted by removing some of the inner filling. This pillow is perfect for supporting your head, neck, stomach, back, and legs to promote peaceful sleep. Measuring in at 17.7 x 14.3 x 9.4 inches, the Zen Bamboo full body pillow is the perfect body support, C-Shaped pillow for restful sleep every night. 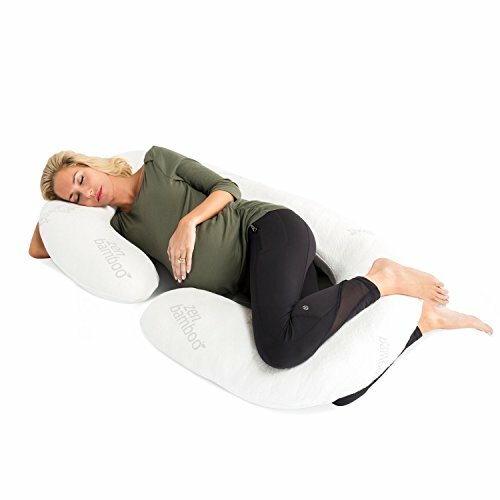 Whether you are pregnant or suffering from sciatica, fibromyalgia, or any other form of chronic pain, the Zen Bamboo full body pillow is ideal for helping ease aches and pains that may be exacerbated by your sleeping style. 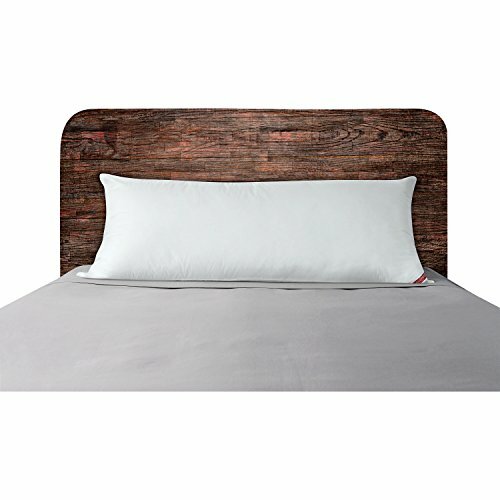 The C-Shaped pillow comes with a machine washable, hypoallergenic bamboo blend rayon cover, and is highly affordable. Compared to other pillows in the Zen Bamboo’s class, this particular full body pillow comes out on top every time.